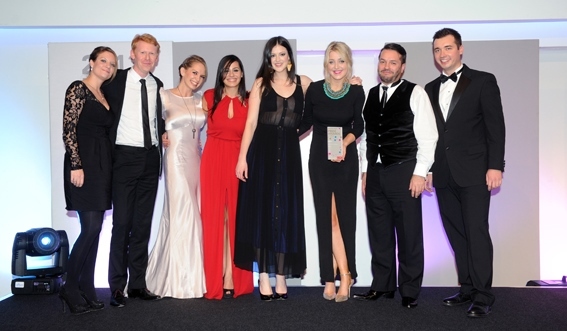 Rule 5 collected Best Social Media Campaign at the prestigious CIPR PRide North West awards. The agency’s gold awarded work on the BMX Supercross World Cup was also recognised in the Best Digital Campaign category for which the agency was awarded silver. The CIPR PRide Awards recognise outstanding public relations in the UK regions and nations and attract entries from the country’s leading communications agencies. The winning entries were drawn from a shortlist of six agencies, including Weber Shandwick. The judging panel consisting of prominent figures within the communications industry said: “Rule 5 devised a creative and engaging social media campaign, able to build a substantial social media audience reaching a quarter of a million fans and supporting the sell-out of the event. Well done everyone – nice to meet you Jules and you again Rob. Very well deserved. Thanks Sue, really lovely to meet you too.